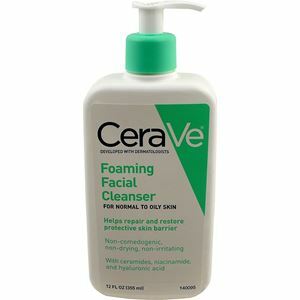 CeraVe Foaming Facial Cleanser,The Facial Cleanser that not only removes oil and dirt but also keeps your skin looking fresh! The Facial Cleanser that not only removes oil and dirt but also keeps your skin looking fresh! CreaVe is a facial cleansing foam that is formulated with dermatologists. It cleanses your skin by removing oil and dirt and also protects the natural skin barrier. It contains 3 essential ceramides; 1, 3 and 6-11. These ceramides help restore and sustain the natural skin barrier.